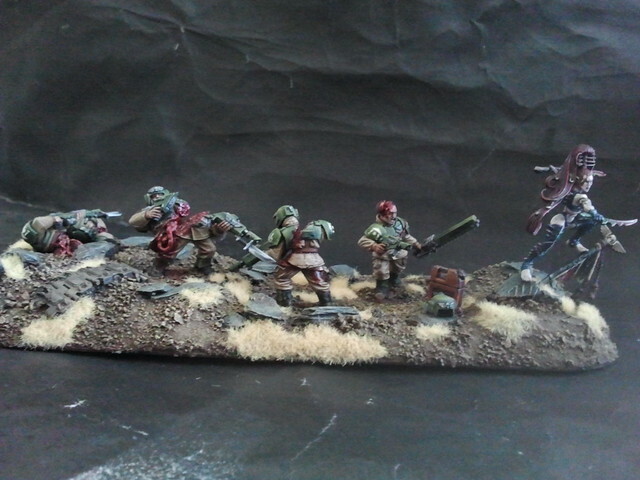 Can HQ units embarked in transports claim a killzone or do they have to disembark? Page 123 of the main rulebook has your answer. matt that picture is awesome. never even stood a chance. 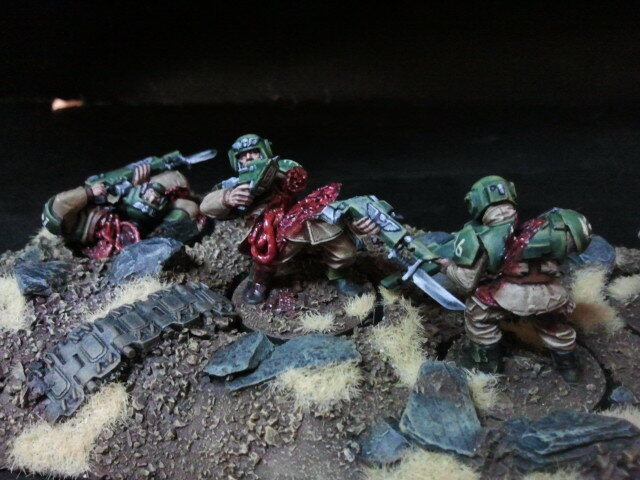 I wanted this small diorama to capture what truly would happen if A squad of Cadians encountered Lelith. No time to torture these sproutlings of the Imperial Gaurd, only to elegantly and effortlessly weave through them with a torrent of blades. For the last moments of his life after his upper half slipped away from the rest of his body, fear engulfs the sergeant. Twitching legs spasm uncontrollably with the sound of wiggling jelly of his intestines, he suddenly realizing what just happened. Panic and death screaming through his headset he can only wish for a quicker death, but gets the slowest drawn-out two minutes of his puny insignificant blood gurgling life. I have a problem... check out my painted armies. ^ and HE wins sportsmanship? Bad singing should be auto zero!! Alright! That's enough Whitney Chunks!! And where's the YouTube link!! Well two glasses of Appleton's and I have no come back... Been a massive weekend. Take that! Insert bad dance moves.